Jamaica is know around the world for the speed it produces, but their sprinters are not the only powerful athletes coming from the island. In recent years, Jamaica throwers have emerged as dominant forces in the shot put and discus. Coach Julian Robinson has helped lead the way, with his discus throwers sweeping gold and silver at the recent Commonwealth Games. 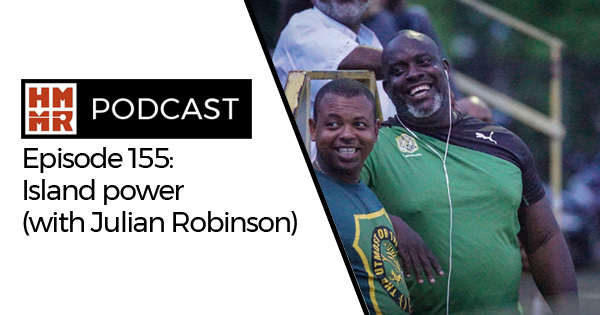 On this episode he joins us to talk about the growth of Jamaica throwing, the throws culture, influences, and his own philosophy of training.